The cop killer and serial murderer Christopher Dorner is dead. His victims included a young couple engaged to be married. Monica Quan and Keith Lawrence met while playing basketball for Concordia University, a distinctively Christian liberal arts school in Irvine, Californa. Monica's father was the first Asian American captain in the Los Angeles Police Department. It is difficult to imagine the pain Monica's and Keith's parents are feeling at the loss of their children, and even more difficult to grasp the agony of the children who have lost fathers, as is the case with the families of two other men Christopher Dorner murdered. The last victim, a San Bernardino County sheriff's deputy, was shot and killed during Tuesday's shootout in the snowy San Bernardino Mountains near Big Bear Lake. It is not hard to imagine a number of people, including the families of officers, praying for the safety of all those in pursuit of Dorner. Yet, the deputy died. Some ask, "Where is God in the midst of this evil?" About a decade ago a small group of Korean Christians in Enid, Oklahoma lost a bag of cash with over $7,000 inside. They were building a new church building and through a series of unfortunate circumstances, the money bag fell off the roof of a church vehicle as it was being taken to the bank. The driver thought he had placed the bag in the car. The cash bag fell and came to rest on an Enid city road, ready to be picked up by a passerby. When the money bag was discovered missing, panic set in. $7,000 was a great deal of cash. The Koreans prayed and asked God to help them recover the cash. A few hours later, a gentleman returned the money to the police department. He wanted no thanks and no reward. He said, “I didn’t work for it, so it’s not mine. The money was for the church... it was their money." When the money was returned, nobody in the Korean Church was asking, "Where is God?" That man who returned the money was Christopher Dorner. We seem to have an easy time believing God is in control when good things happen, but we flip the switch when evil occurs and want to believe that God is not in control. I have recently had some discussions with several Christians who struggle with reconciling God's sovereignty with the evil around us. Some are asking, "If God is all-good and all-powerful, then why is there evil in this world?" Others inquire, "If God is truly in charge of all things, is He not the author of evil?" Some choose to resolve the issue of evil in this world by contradicting Scripture and limiting God's power. They say that because God created human beings with free will, God designed the universe to unfold according to the actions of man, and because the future is not foreordained, everyone (including God) is surprised by evil and works hard to overcome it with good. This lack of belief in God's foreknowledge is called Open Theism or Open Futurism, and it is a belief held by many solid evangelicals, including Greg Boyd. Open theists try to protect God against the charge that He is responsible for evil by limiting His ability to know the future. With this view, God was surprised by Christopher Dorner's actions in California (and in Enid). Scripture, however, is quite clear that God knows the end from the beginning. God is outside of time. This is why the Bible could say "Christ was crucified before the foundation of the world." What is ordained in the mind of God before time is what occurs in time. Since evil is not part of God's nature, His allowance of evil to occur simply means He has a greater good in store, a greater good that would not exist were the evil to be prohibited. This is why God can hold the wicked accountable and responsible for their evil, but overcome their evil for good. He did this when "wicked hands" put His Son to death, a death that God "foreordained" (see Acts 2:23). He did this when Joseph's brothers stripped Joseph naked, beat him, threw him into a pit, and then sold him into slavery. God did not cause Joseph's brothers to do evil, but God permitted evil to occur because He had a greater good in store, a greater good that would not have occurred had not Joseph been sold into slavery. Joseph understood that all evil has the good presence of God in it. Evil is not from God, but all evil does not exist in a vacuum. God is present, orchestrating good from it. Joseph said to his brothers years after they committed their evil against him, "What you did was evil and you intended harm to me, but God allowed it to occur in order to bring about a greater good" (Genesis 50:20). This is what it means for God "to work (orchestrate) all things for good" (Romans 8:28). All things are not good. Some things (like murder) are instrinsically evil. But God works ultimate good out of all things, including evil. For God to do this, he MUST know the end from the beginning. He is One who is both in time and out of time. Einsteen postulated that time is relative, a dimension that can be shaped, bent and manipulated. Though the biblical writers would have been ignorant of Einstein's theories, the inspired Scriptures affirm that God can move in time, both past and future, as easily as we move in and out of a closet. He is above time and created time for His creation. He is the Alpha and Omega, the beginning and the end, and all things are from Him, subsist by Him and will return to Him (Colossians 1:17; Romans 11:36). The Scripture tells us three things about God's nature ... (1). God is spirit, John 4:24; (2). God is light, I John 1:5; and (3). God is love, I John 4:8. He so transcends your ability to understand Him that He must condescend to us and reveal Himself or we would never know Him. This is precisely what He did in coming to earth - Emmanuel, God with us. Jesus said, "He that sees me has seen the Father." For millenia people have made the mistake of thinking God is just like them. He isn't. He is unique in His attributes. He is unique in His nature. He is unique in His essence. Israel made the mistake of considering God to be like another human being. The ancient Greeks capture this common fault in man when they opined that if people were lizards, their gods would be a lizards, or if people were horses, their gods would be horses. Since people are people, we try to make our god like a person. This is a big mistake. 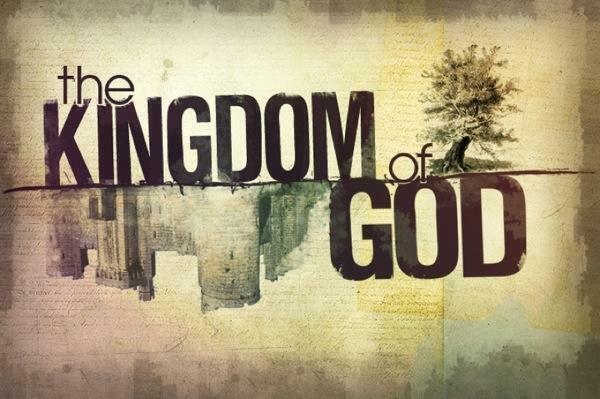 There is one spirit God who reigns over all things in power and love, and He has established His throne over heaven and earth, and His kingdom rules over all (Psalm 103:19). Where is God in the midst of destruction? Where is God in the midst of evil? 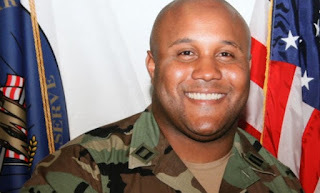 Where is God in the midst of the death and chaos caused by Christopher Dorner? He is in the same place He was when Christopher Dorner turned in that bag of cash a decade ago. God is right in the middle of all things. He is not causing evil, nor is He the author of evil, but He is never absent from evil. It is difficult for you and I as a created human beings to understand how a good, omnipotent and omnipresent God could be in the middle of evil, orchestrating a greater good through it. You and I are finite. We can't see the end from the beginning. We can't comprehend how evil can be present for a greater good to occur. We can't fathom how One is outside of time and independent of time and has no need of time, but uses time for His glory and our ultimate good. We can't get our heads around how justice and the righteous punishment of evil is a good and loving action. In short, we are not God. But just because we are not God, let's not make the grave mistake of pulling Him down to our level. I am just going to start every comment on your blog with...."in before classics." As always, right on the money. Perfect message through imperfect vessels. Bravo! Thanks, John! You and your lovely wife are true examples of living out God's goodness and love in the midst of suffering and affliction. You are right. I don't understand and my heart aches for the victims. But I love and trust my God. "What you did was evil and you intended harm to me, but God allowed it to occur in order to bring about a greater good" (Genesis 50:20). Wade, which version is this from? "What you did was evil and you intended harm, but God allowed it to occur to bring about a greater good" (Genesis 50:20 Burleson paraphrase of the NAS). Thank you! Excellent post btw! When you wrote Christopher Dorner was the man that returned the money, you could have knocked me over with a feather. Such a tragedy is the result of ‘two wrongs don’t make a right’. 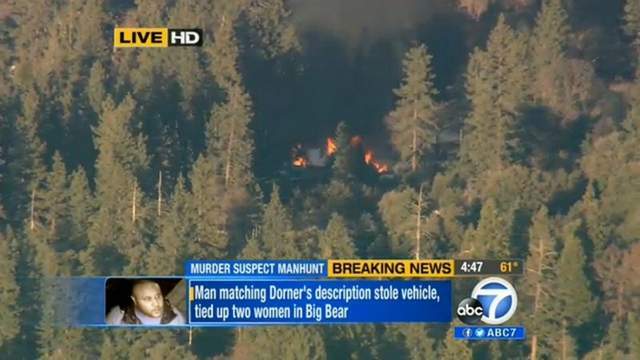 It looks like ‘doing good’ cost Dorner his job, and his ego cost him his life as well as others. Did he think he was cleansing the police as Jesus cleansed the temple? Wade on another blog you said you stayed away from determining whether or not other people have ego. But Jesus said, ‘by their fruits you will know them’. We’re not to judge but we can be fruit inspectors. Right? BTW, I wish whoever gets the million reward money gives it to the victims’ families. Of course your post is on the subject of where is God, and you explained that very well. Your link exposes the kind of police that Dorner was trying to prove. It’s too bad part of him became like them. I mean if he was completely bad, he might be alive today if he NOT spared some lives by tying them up. I wish to point out that God as revealed in the Bible is both a covenant maker and a covenant keeper, so such God self-limits his power by keeping his covenants. That's been going around the LA airwaves as well. It's because police work is a brotherhood, almost like a religious order. You are either a Cop, or you are Not. Us vs Them. One of the ways this Us-vs-Them tribal identity comes out is You Don't Betray The Brotherhood. You don't take the side of Them against Us. Traitors are Shunned and Expelled. And it's common knowledge (as opposed to official PD statements) that the ultimate Them -- cop killers -- will NOT be taken alive if at all possible (figuring in how far Plausible Deniability can stretch). According to mainstream radio yesterday, a LOT of barricaded cop killers end up burning alive in their bunkers from an "accidental" fire from pyrotechnic tear gas rounds. You see, usual procedure is to use "cold" tear gas, then the stronger pyrotechnic rounds which tend to set things on fire. Including previous tear gas concentrations -- see Waco. And with an armed and desperate criminal, you can't endanger firemen by bringing them in. Street Justice for Us with Plausible Deniability. "I form the light, and create darkness: I make peace, and create evil: I the Lord do all these things. God orchestrates affliction like a conductor orchestrates a symphony. The minor notes, which sound awful by themselves, are blended with the surrounding other notes to form beautiful music. It is hard for some to accept that God is in charge of all notes--even the awful sounding minor ones. I know, of course, that you and your husband are not in that group of folks! Reading the past history of Dormer in this post relating to the bag of money was like receiving a gold nugget. Thanks! Wow. Does that show the capacity in people for good and evil. The other statements in the post about the sovereignty and nature of God are spot on. I believe that Einstein's theories of special and general relativity, and science in general, are great discussion for truth in the spiritual realm. For example, I find it interesting that Einstein's only constant was the speed of light. (That may be questioned now also.) And I find it interesting that God is often referred to as light. Could it be that is not only for the revealing qualities of light but also for its constancy? Thanks, again, for a good post.